As I was strolling through a slim paperback on little known historical facts, to my dismay, I found out that I am older than sliced bread which was developed in 1928. Something far older than either me or sliced bread is the onion, lost in the mists of antiquity, six thousand years. Its origin is unknown, but a plant similar to the wild onion has been found in Turkestan. It’s certainly from somewhere in Central or Western Asia. It’s far older than the tomato which comes from a fruit that was grown in the Andes and used by the Incas. The onion’s strong odor and flavor are the reasons for its widespread use throughout the world and the chief reason that gardeners grow onions in their backyards. Backyard-grown is always better than store-bought. 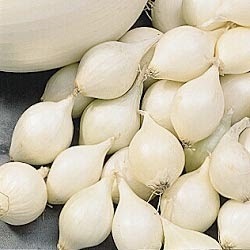 Along with being a culinary delight, onions are easy to grow and are spectacularly good for the eater. They are jammed with nutrients. As a matter of fact, they’re richer than tomatoes, carrots, and red peppers. The combination of ease of growing, great taste, and nutritionally rich is hard to beat. As for its culinary uses, the richer leaves are the outer leaves so the best tactic is to peel away only what is necessary of the dry, brown outer leaves. 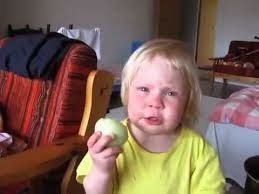 Some people eat onions raw like an apple. When I had an office on Westwood Blvd in Los Angeles, there was a Persian restaurant nearby which used lots of onions. The waiters, as well as being condescending, ate onions like apples during their breaks. At any rate, Persian cuisine is, along with the French and Chinese, thought to be one of the finest cuisines in the world. So instead of one more Greek restaurant, pizza parlor, hamburger joint, or Mexican and Thai restaurant, how about a Persian restaurant in Flagstaff? Failing that, maybe restaurants with imaginative and capable chefs can offer some Persian entrées. Onions can be grown in three different ways, seed, transplant, or sets. Transplants have already started to develop a bulb. Sets are immature onions sold in bunches. Seeds take a long time and are particularly difficult in cold climates. Sets are easy to grow and can be purchased from commercial nurseries or online. The drawback of onion sets is the limited variety of onions available. The first thing to do is prepare the bed with compost and organic material and a good 10-10-10 fertilizer before the middle of March. Buy or order the varieties of onion sets desired. About the middle of March ― certainly before the onset of April ― plant the onion sets about five inches apart and an inch or so deep. Onions require lots of water, so it’s smart to plant them in trenches in order to save water. A couple of weeks after planting the sets, they should be side-dressed with a high nitrogen fertilizer and watered straightaway and repeated every three weeks during growing season which is fifty to sixty days. Onions are categorized not only by variety but also by length of day, short day, intermediate day, and long day. Onions need sunlight, and Flagstaff falls right between intermediate and short day. It’s safe to plant an intermediate day onion with an added short day, such as the varieties Superstar and 1015-Y Supersweet. If harvesting green onions in addition to mature onions, pull them early in the season when they’re immature. Onions mature when the stalks fall over. After about a week, the mature onions should be pulled and allowed to dry before being stored.